Sylvia in her new natural habitat. We're well back into our full schedule for the new year, and it's awesome to see so many faces old and new getting their yoga/Pilates/bellydance, etc. on! February brings us a change in venue. Fear not, we're simply moving to Level 2 in the same building, Hallenstein House. The last class on Level 4 will be Gentle Yoga on Friday, 31 January at 1.15 pm; the first class on Level 2 will be Power Yoga on Saturday, 1 February at 9.30 am. It would be great to see you there for our first Om in the new studio! You may well ask: why are we moving? Healium founders Jenifer and Ryan were planning to move Healium to a new space as early as last July, but then Immigration decided to chime in and that delayed things a bit. But we've been getting the new space ready for a few months now, and we're really keen to open some new doors! 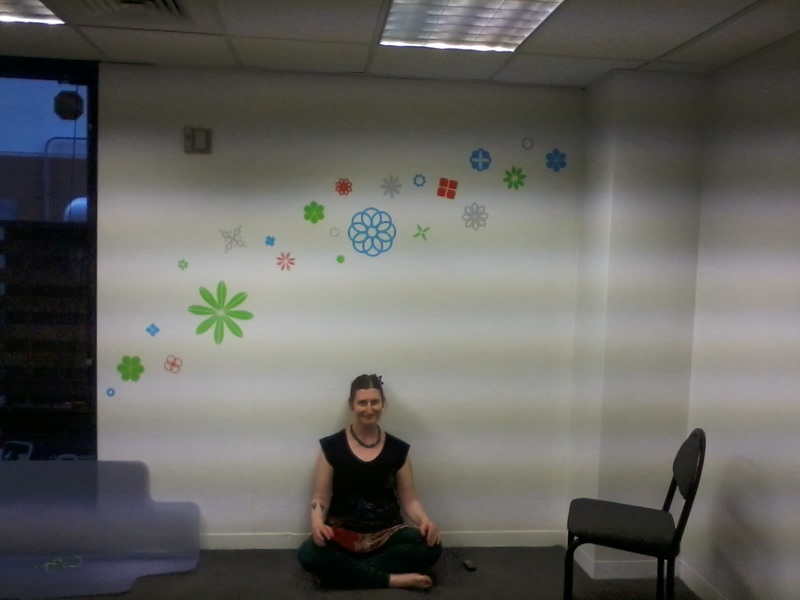 The new space is on the same side of the floor (on the right as you come out of the lifts) and has a reception area, a treatment room, and a yoga room. You'll notice the lack of spare treatment rooms for changing - so for those of you who can't come to class already changed, the bathrooms are right next to the space (just like on Level 4). We have a few finishing touches to put on the space - painting the doors and adding some mirrors for our Postural Patterning and dance work. We'll let you know when we have a proper studio-warming in the near future - you're all invited! All our practitioners are coming with us and the class schedule remains the same, so we just need to get used to pushing the lift button for Level 2! See you there from 1 February! Love from team Healium Wellington.